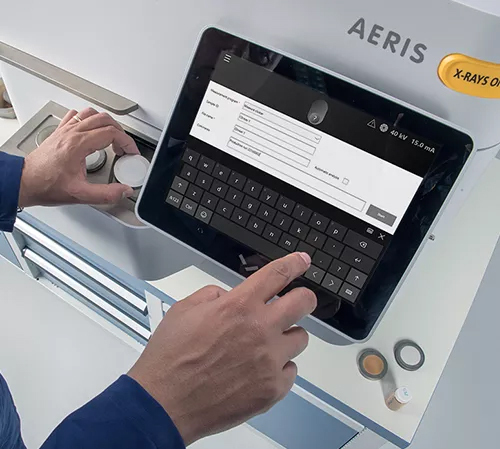 Aeris is a benchtop XRD system by PANalytical with an integrated touch screen. 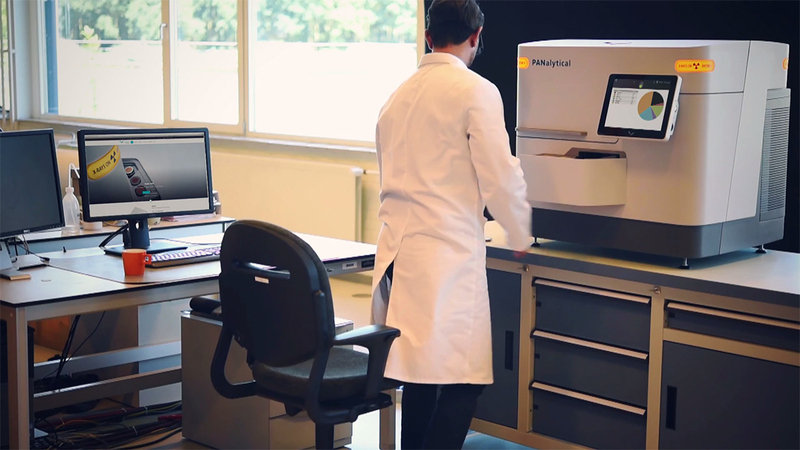 The system is fully automatable, offering a compact alternative to the X’Pert series. At Benchmark Electronics we handled the design and component configuration, focusing on a compact form factor and compatibility across the entire product range. Design consultancy was offered throughout mechanical implementation. 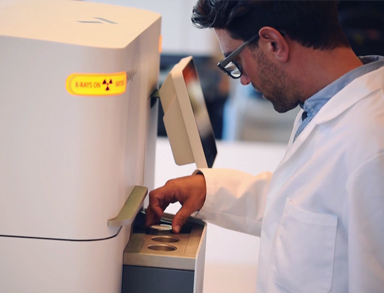 PANalytical’s X-ray diffractometers are designed for obtaining the ultimate quality diffraction data, combined with ease of use and flexibility to quickly switch to different applications. 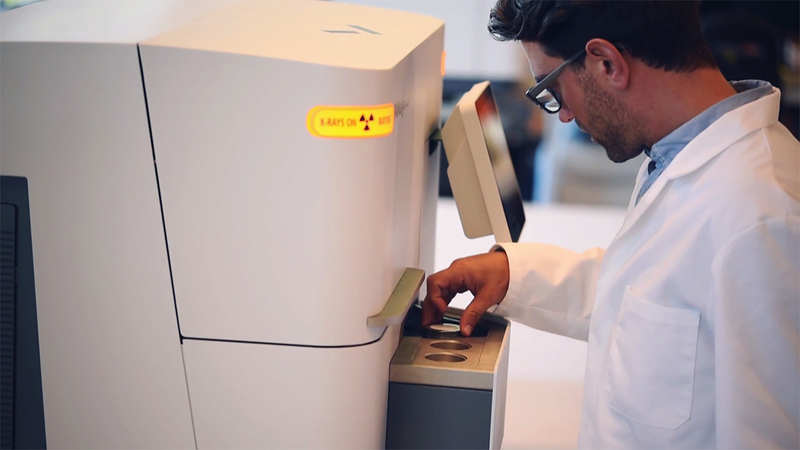 As the first XRD benchtop in PANalytical’s product range, bridging the gap between their desktop devices and floor standing products was challenging, especially due to the system’s modularity and requirement to be automatable. 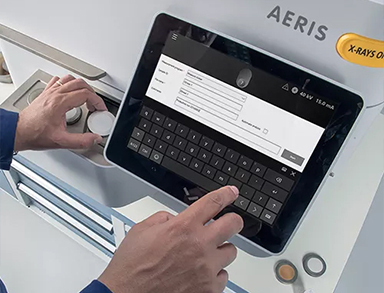 Aeris sets a precedent for all future devices in this new product category, perfectly in line with PANalytical’s brand language. 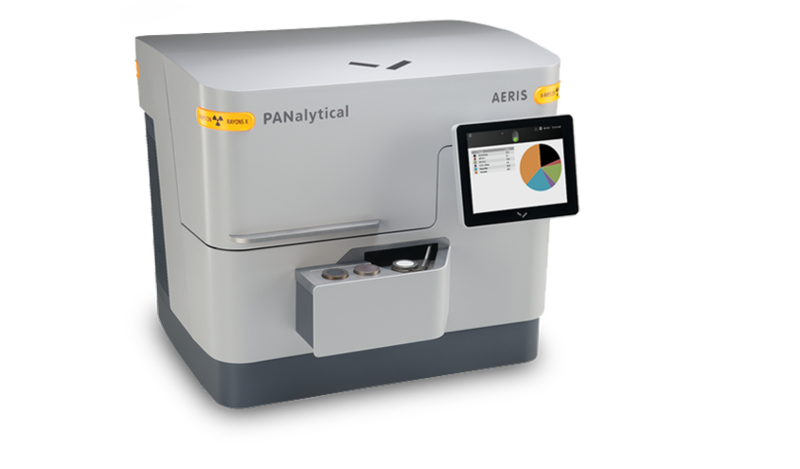 Panalytical’s Aeris: world’s first fully automatable benchtop XRD instrument. 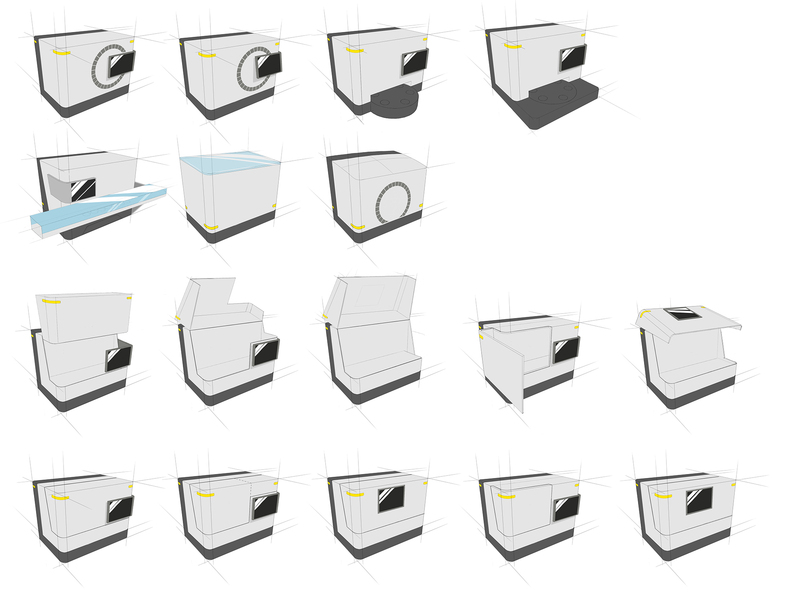 Panalytical’s Aeris: a selection of design sketches. 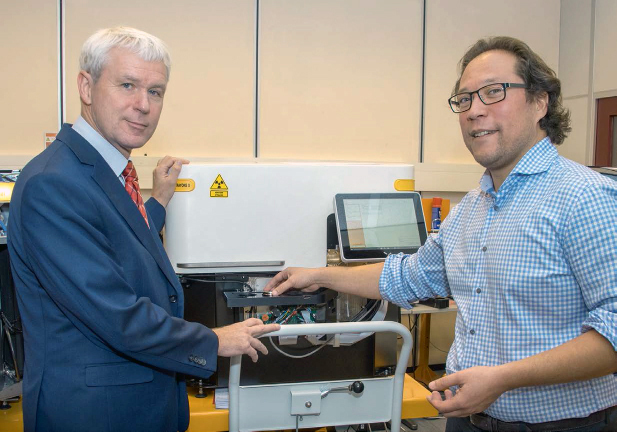 Jan van Rijn, PANalytical’s managing director, and Harald van Weeren, PANalytical’s Market Segment Manager Building Materials, showcasing Aeris: benchtop X-ray powder diffractometer.